As October came to a close, things were still going well with my Lending Club investments. The one loan that has gone bad has stayed bad, but everything else is being paid on time. Even with that delinquency, however, my “High Risk” portfolio is back in the black, as I’ve earned more than enough in interest to cover the loan that I lost. Assuming things keep going as they are, that one bad loan will soon be a distant memory. During October, a couple of borrowers paid off their loans early, so I’ve re-deployed that cash (along with some additional funds that I’ve added to my account). At the end of the month, I had 148 active loans with a net annualized return of 11.82%. From here on out, I’m planning more of the same… I’ll be steadily adding money every month, and reinvesting the repayments as they come in. If you’ve been investing with Lending Club, I’d love for you to share your experiences in the comments section, below. Indeed, I’ve noticed that many borrowers are not respnding to their/my questions. The way I see it, if they don’t respond and I’m not happy, I don’t invest. But, as you noticed, those same Notes are receiving 100% funding. I suspect it has to do with the slim pickings, where lenders are anxious to get invested since Notes are being fulfilled in as little as a week. Has anyone else noticed that many borrowers are not answering questions posed by lenders? I think LC’s warning not to disclose personal info may be responsible for the decline. It amazes me that some borrowers, many who haven’t provided the slightest hint as to what the money will be used for, eventually get fully funded. My feeling is that if a borrower won’t answer non personal questions generic to their loan, they won’t reply to an email or phone call from collections either. I also think that LC does a disservice when the loan info says “No questions yet” even when one has asked a question of the borrower. The accurate reporting should be “No answer yet.” I believe this is misleading on LC’s part and could become a liability to them. Notes WILL default. However, you can study Lending Club’s stats here… https://www.lendingclub.com/info/demand-and-credit-profile.action and minimize your risk. As you might expect, the lower the return, the lower the risk. For example, investing in Notes under 8% provides a very low risk (0.16%). Investing in Notes over 16% have a much higher risk where you CAN plan on having 1 in 12 Notes go bad. And, if they do go bad, Lending Club pursues the borrower like a bank and even makes arrangements where they can pay less for awhile to get them over a hump. Further, if you do see a change in FICO score on a Note (which is monitored regularly), you can sell it via FOLIOfn and make a small profit or take a small loss. You don’t have to lose your entire investment. If you just invest and don’t monitor and manage your account, you will likely be close to the stats. You can do much better by staying on top of your account. However when investing arent you betting that a certain PERCENTAGE of loans will go bad, so that if I write 80 loans and say 10% go bad thats 8 out of the 80 that will go bad( like the 2 out of 20)…. or is that just not likely at all here at Lending Club? Thanks again for peopels experiences and feedback. Tim, you could spread the risk better by making 80 loans of $25 rather than 20 for $100 each. Tim ,it is up to you to determine if it is worth it. I have about 220 bucks in two loans that are overdue, and may be lost. But it is a small percentage of what I have invested (<1%). So, yes, for me the risk is worth it. That is why you spread the loans out into many different ones. Ask yourself how much interest you are getting in a regular savings account vs what you stand to gain with LC. what am I missing here; if I invest $100 in 20 notes($2000 total) at say 12% average, then I stand to make $240 is all goes perfect. Hey Lending Club: Start encouraging borrowers to respond to lender questions! Lately there has been a noticeable lack of responses. When Lending Club borrowers ignore questions, I don’t invest. Suggest you implement a way to indicate on the loan listing the number of questions that have been asked that are awaiting a response. Also, you might consider adding staff if that is the reason it is taking so long to issue fully funded loans. If that’s not the reason, how about you start communicating with lenders? post a wire transfer either. My gripe is that one has money in limbo without gaining interest while waiting for LC to invest the money that they do in a Prime account. I have waited for almost a month sometimes. I just invest every time my funds reach $100, now. That way LC doesn’t get any interest on the float as money awaits investment. And yes, it is slim pickings lately. No. It must have been gone by the time my account was set up this evening. You have to get up real early to see the 120 listed, by noon it IS slim pickins! Did you happen to invest in that guy buying the pizza franchise? I just started my no fee self-directed IRA as well. Indeed, the notes have been slim picking. Down to about 82. Seems like we’re buying faster than the supply. FOLIOfn becomes another option to obtain notes. I’ll start picking from there next week. Got in on LC’s No Fee IRA. Have 120 notes so far. It may take quite a while to be fully invested. Things seem like they are slowing down at Lending Club. Maybe the holidays? Just a few weeks ago there were 150+ loans listed. Now lucky to get 120 to choose from. They seem to lack the quality seen just weeks ago. Funded loans seem to be taking quite a bit of time to be reviewed and issued. Lenders could really use a forum dedicated to just them to discuss issues, strategies and borrowers that refuse to answer inquiries lol. Any word on when LendingClub will become legal in Washington, DC? I tried to start investing with them months ago but was informed that it is not a legal business in the district and a few other states. I started at the end of July and quickly joined their prime club. Took a huge risk and invested most of my ready cash in LC, just under 30K. I am rolling the payments into additional investments. I got sick of the money sitting in Cap. One online savings at 1.6% APY and then having inflation devalue that. So far I have two B funds that are late. The one I am concerned about is a guy that borrowed 20K to get married, made one payment and has no contact with a disconnected phone when LC tries to contact him. I am only out $195 but that will hurt my overall return. If losses are unacceptable to me I will stop investing and take custody of the payments instead of reinvesting them. Question: Does anyone know how to write off the bad loans as a bad debt with the IRS? I don’t see how it can be done since I do not know the borrower’s address to send the 1099-C form. Yes, go to the Lending Club website and click on the “Trade” tab at the top of the screen. There’s a secondary process to get you set up to buy secondary market loans, but once this is set up, the site is integrated with LC, so your balance carries over to the other site (called Foliofn). Once you purchase loans, they get shown back on the Lending Club main site in your portfolio(s) there. Do I do the secondary markets through LC website? How do I get started or at least read up on this? Your help is greatly appreciated! I have two loans on LC now. How does this work out with the IRS? What will I get from LC about the interest I have earned? As MITBeta said, they do allow you to participate if you go through their secondary market. You cannot contribute to new loans, but you may purchase existing loans, or sell any that you might buy. I had to do this as well. I am in KY, and we are not on the approved list either. I too, would like to join LC, but they are not authorized in my state(OH). Can someone explain to me why this is, and can I get around this. LC isn’t authorized to sell loans in my state, but I can buy them on the secondary market. The nice thing about this is that the loans all have history which makes picking them less dicey, in my opinion. On the other hand, the loans are all less than 36 months and there are far fewer to choose from. Also, on the secondary market people try to sell loans for more than the interest payments are worth, now or in the future. You’d have to be stupid to buy these. I spent two hours on a Saturday morning buying 6 loans for a total of about $450. I’m annualizing over 12% and everyone is current. Did they ever declare the winner of that big giveaway for new people signing up? I signed up, but never heard anything else about it. So far, I have 2 loans, just bought a 3rd today, and they are current, and going well. I don’t know my return yet, because my status on the loans still says New, even though I have received a couple of payments from each. I went the high risk route, but did a little research and even though they are at 18% interest rates, they have been paying, so I guess I am happy with it so far. Dan: Good question. My loans max out at around 6 months, as I started in May or so. You can, however, look at historical data from LC to get a better feel. I wrote about this back in June. Here is the link. What’s the average age of your portfolio? Those of us who were early adopters of Prosper have had a difficult time making money. It’s great and all that those LC lenders have gone 6 months and made a few bucks, but long term data from Prosper isn’t very favorable. 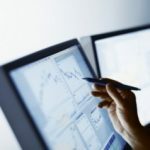 My lending “over there” occurred from May 2006 – July 2007, and I will not be making money when it’s all said and done — no matter how favorable the six month returns were looking. I’d like to see how LC folks are doing at the 18 month mark or so. So far all is good – averaging about 14.8%. Everyone is paying, though a few haven’t made their first payment yet (last month’s investments). I would like to invest in this, but I really need to focus everything I have on my mortgage until I get PMI knocked off. If I figure correctly, an investment of $800 with an average interest rate of 9% will give you a monthly payment of just over $25. That way you could reinvest in one new loan each month with your returns. You would make about $6 per month in interest and after 36 months you would have 36 accounts in a ladder. Occasionally you could either take a payment out of the account or invest in an extra loan. So far so good for me, only one of my notes has had a payment due and that went fine. My plan for 2009 was to put in $1,000, spread over 40 notes, and evaluate how it does for possible additional investing in 2010. I’ve purchased 36 notes so far. Not all have had a payment due yet, but at least so far none have failed to make the first payment which was my biggest concern. 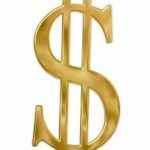 I tend to be picky about which notes I’ll fund and it gets to be kind of labor-intensive when you consider how long you’re spending to make investments that will at best make you a only a few dollars in interest. The screening tools recently changed and it’s maybe becoming easier to weed out what you don’t want. I’ve been with Lending Club for 5 months. Started with a $100 and have regularly added each month. Now I have 86 notes with all 100% current. My net annualized return is 11.56%. I too plan on investing much more in 2010. I haven’t tried it but one of my friends has. She hasn’t made any real money yet, due to early prepayment. One loan she has looked bad from the beginning and is delinquent every month, has all the signs of a write off. That bothers me, as I have 25 years experience in the auto sales business, and have seen so much bad credit. I’ve been investing for about 6 months. Started with just $100. That did so well, I kept adding until I have 42 notes; one paid off early. I’ve practiced withdrawing funds as well. All works as advertised. 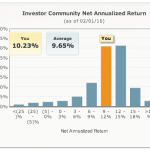 My net annualized return is 12.33%. No loans have gone bad. I plan on investing much more in 2010 as it’ll be part of my retirement portfolio. Add http://www.mint.com to your money management tool belt and you can go to one place and watch your credit & debit card transactions, bank accounts, investements, lending club transactions and mortgages. And, it’s free.